I MADE A GIFT CARD HOLDER FOR A FRIEND TO GIVE TO HER DAD ON FATHER'S DAY. ON THE PICTURE ON THE RIGHT YOU CAN SEE THAT I PUT A PIECE OF DOUBLE SIDED TAPE ON THE GIFT CARD HOLDER SO IT CAN BE SEALED AFTER SHE PLACES THE GIFT CARD IN IT. What a brilliant wallet for a gift card and the beautifully coloured image is perfect for a man. So glad you stopped by at 613 Avenue Create this week. Hello, Bunny! 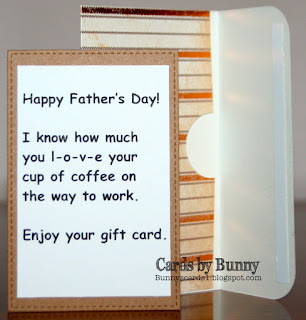 This is such a sweet gift card holder! 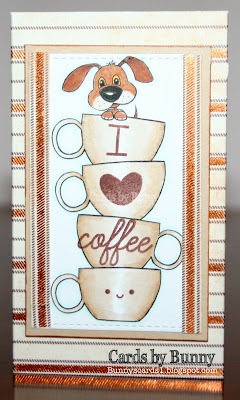 I love making coffee cards with critters! Such a cute image, I love it! 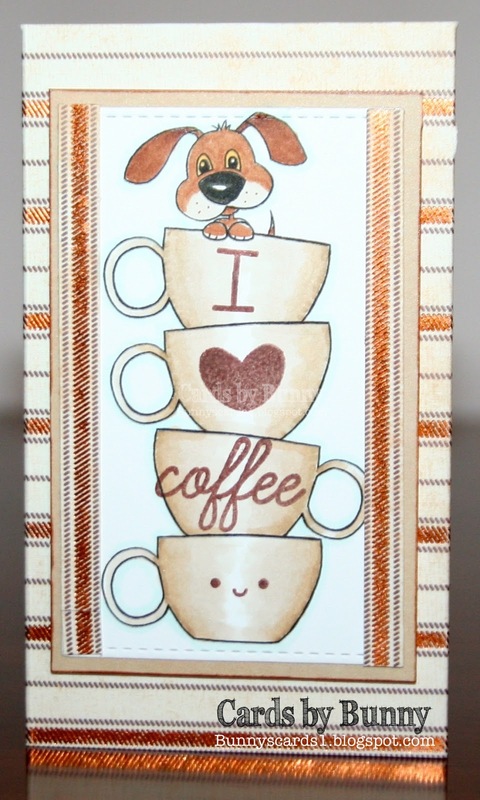 This is an awesome gift card holder and I bet your friend loved it too! This is absolutely DARLING, Bunny. Thanks so much for sharing your artistic talents with us. I hope that you will join us again soon. Have a blessed week.